Following rumors of talks going as far back as May, we’d been hearing whispers all morning that Yahoo had finally acquired the video broadcasting platform RayV. Sure enough, it’s just been made official. 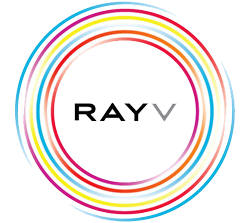 Built in 2005 as something of a Joost competitor, RayV’s specialty lies in delivering high-quality video streams to a lot of people. Yahoo is in the middle of a huge effort to up their video game, doing things like reviving Community to prove they’re in it — so this move to improve their video streaming tech makes a lot of sense (especially after Yahoo’s attempts to nab Hulu or DailyMotion both fell apart). Details of the deal are still under wraps; as usual, we’re digging for more and will update this story if/when we hear anything else. RayV had raised roughly $16M to date.